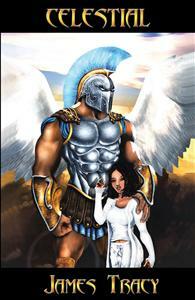 From author James Tracy comes a thrilling story of angels, demons, and Armageddon. Meet Seth, a hero fated to save New York, and Aralese, the mysterious singer destined to help. Seth Anderson dreams of making a lasting impression on Aralese Jettier, the reigning pop star of France, the night of her first concert In New York City. Haunted by the memory of a father who abandoned him as an infant, Seth has never made an emotional connection with anyone – until now. But on the night of Aralese’s arrival, a supernatural Armageddon commences, threatening to devour all of Manhattan. Determined to save Aralese, Seth discovers his supernatural heritage and must use his newly found angelic powers to save both Aralese and all of mankind. The characters are well defined and the story is well written. You'll laugh, cry and hold your breath as adventure and mayhem ensue. I couldn't put it down!